We value your business, comments, and questions. Please choose from one of the options below to contact us during our business hours: Monday thru Friday 8:30 am to 5:00 pm or you may also leave a voice or e-mail message during off business hours and we will respond promptly. 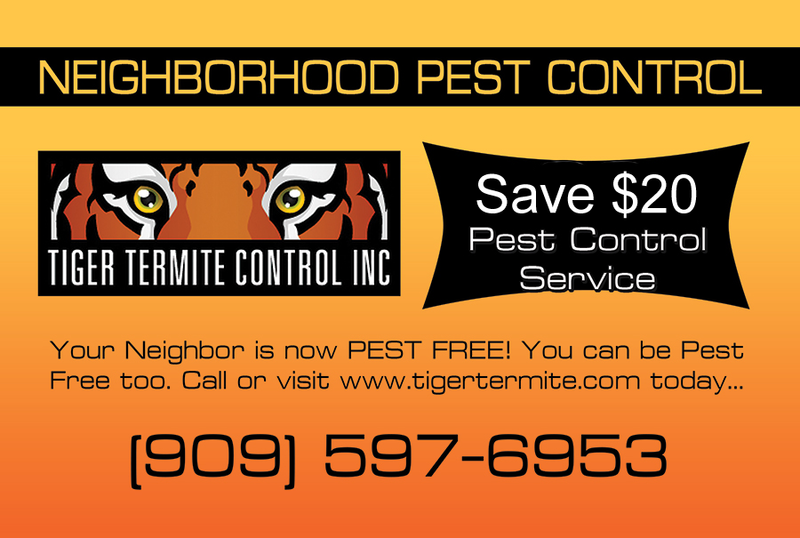 Fill out this form to receive an honest, accurate termite or pest inspection. Once your form is submitted one of our friendly customer service representatives will contact you to finalize the appointment. Call us at (909) 597-6953 today for a free evaluation and consultation. You’ll get an understanding of the problem and learn what options are best for your particular needs and budget.